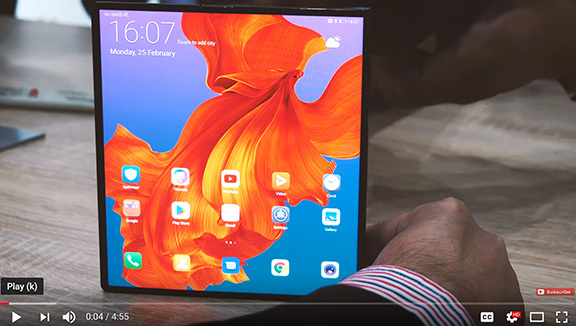 The Huawei Mate X is said to be better than the Samsung Galaxy Fold. 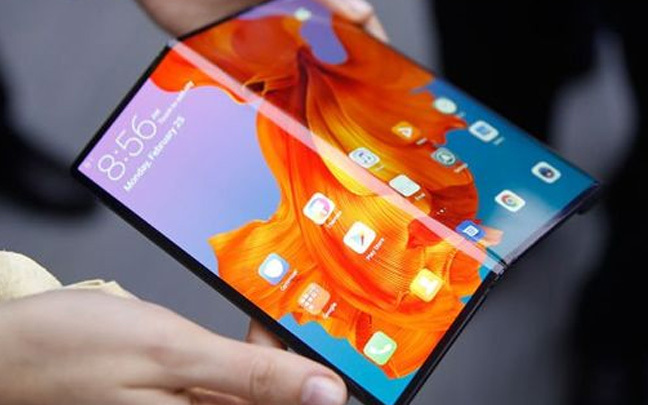 The Samsung Galaxy Fold won’t be the only new foldable smartphone on the market. Huawei has just announced the Mate X, and it is very different. 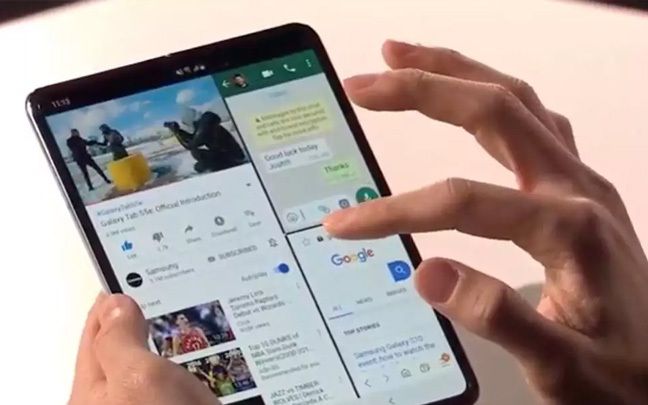 While the Galaxy X Fold appears like a book with one screen as a cover, the the Mate X is just one screen that can act like three different ones, depending on how you fold it out. Tech Crunch is pretty impressed. The article adds that Huawei’s latest smartphone has a nice design and a nice screen. However, crinkles in the display are made noticeable by an overhead light. The only thing that the author wasn’t really impressed with was the $2,600 price. Chris Smith from BGR believes the Mate X is the best foldable smartphone he’s seen. “In tablet mode, the gorgeous display looks amazing. It’s an all-screen device with no notch and no camera hole, just 8 inches of edge-to-edge display. It’s a tablet you can pocket that can run between two and four apps side-by-side. And Google, I was told, is also involved in optimizing the multi-app experience,” Smith notes, adding that the aspect ratio of the smartphone is a little bit unusual. Click to play in YouTube. Vlad Savov of The Verge says the Mate X has the best first draft for a foldable smartphone. Savov adds that in order for the phone to be able to fold, the screen is made of plastic. Huawei’s other phones have a glass front and rear glass back. He also likes the way Huawei places the cameras on the device. So far, nobody has been able to test out the camera quality of the multiple front and rear cameras on the Mate X.
What’s really interesting about the latest foldable phones from Samsung and Huawei is that it used to be Apple that was first with groundbreaking innovations. That’s no longer the case. Though, you can bet — just as you read this — that Apple is working on their version of the foldable phone. Will it be called the iFold? 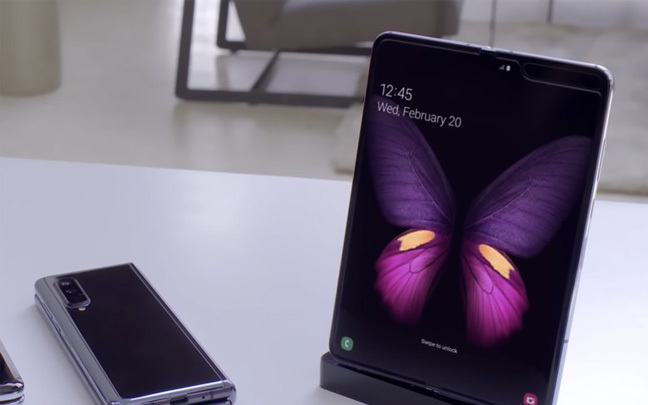 Samsung’s Galaxy Fold was announced along with the new Samsung Galaxy S series, and although there is excitement, there is also a lot of skepticism. TechRadar notes that even though the Galaxy Fold seems cool, it doesn’t make sense as a consumer device yet. Ouch! Anybody who remembers the Google Glass knows what they are talking about. The article predicts the eventual letdown where people discover all the faults. And since this is a first-generation product, you can bet there will be a lot of faults. “The Galaxy Fold feels like a moonshot, and that’s Samsung’s masterstroke here,” Dolcourt says, adding that even if the Fold falls short of the hype, Samsung has successfully grabbed everybody’s attention. She believes it’s definitely not a gimmick. Business Insider is also impressed with Samsung’s foldable smartphone. Author Ben Glibert notes that not only is the transition from smartphone to tablet seamless, but he likes that the fingerprint scanner is located in a place where it’s easily accessible when in regular smartphone mode or folded out to a tablet. The Samsung Galaxy Fold is great for multitasking. Some people were worried about the battery life, but as Gilbert notes, there are two batteries on the Galaxy Fold that should get most users through at least one day of normal use. And the Fold also appears to be a multitasking champion. Perhaps people need to realize that although the new Galaxy Fold is bound to cause complaints, so did the first iPhone, the first Galaxy S, the first iPad, etc. 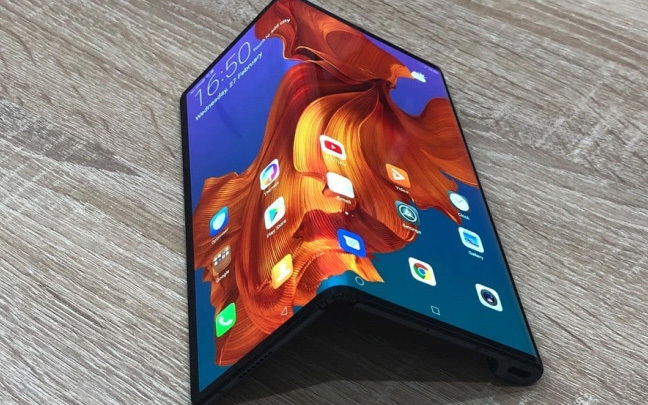 The foldable smartphone could become a mainstream thing within the next couple years. But the kinks that need to be worked out will be plentiful. There are four new Galaxy S10 devices: the Galaxy S10e (affordable version), the Galaxy S10, the Galaxy S10+ (the flagship model), and the Galaxy S10 5G (only available on Verizon this June). The one I am most interested in (at least for now) is the Galaxy S10+, and I was lucky enough to have some playtime with it today. Samsung’s new smartphone looks smaller than it should be (screen is 6.4-inches), and is a gorgeous device. Here are some of my other impressions until I am able to post a full review. That screen! What a beauty. When looking at the device, it feels like you are looking at a screen with nothing attached to it since the bezels are so small. Speaking of the bezels, I was worried that because they are barely there, I would accidentally keep touching the screen. It never happened once while using it. The stereo sound on the speakers is good, but a little tinny. It’s not full of life like the stereo speakers on the iPhone XS Max. 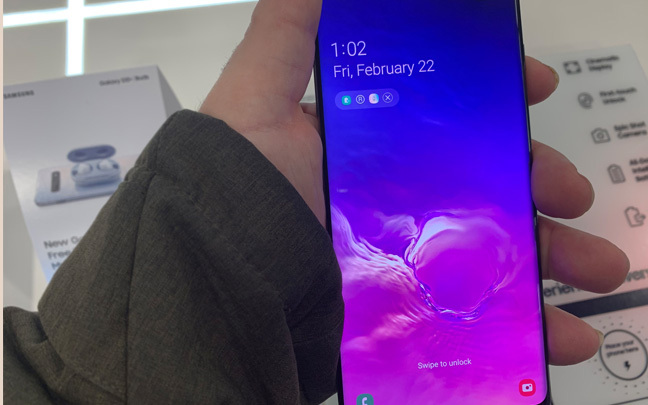 The S10+ doesn’t look any different from the Galaxy S10 — just a little bit larger. The two hole-punched cameras in the front look weird. But they are not invasive. As a matter of fact, the more I used the device, the less I noticed the cameras. The Samsung Galaxy S10+ has a triple-lens rear camera. Finally — a triple lens camera on the rear. Samsung was supposed to include this with the Galaxy Note 9, but it never happened. Unfortunately, I didn’t have enough time to test out the camera quality. 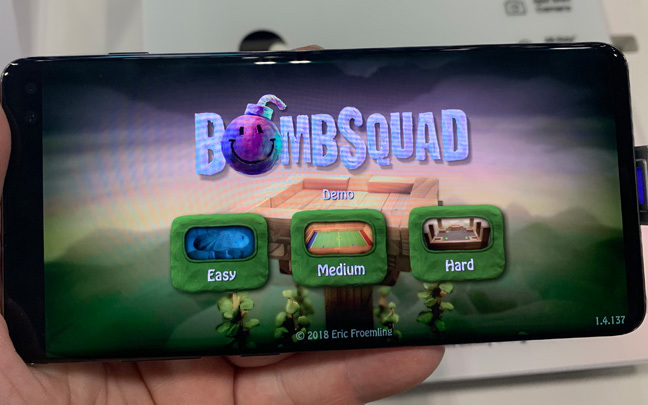 Samsung's new phone is powerful enough for some great games. It’s hard to measure the performance of a smartphone in 10 minutes, but everything was smooth and fast. However, I couldn’t notice a difference between the S10+ and S9+ performance. Hasn’t Samsung given up on Bixby yet? It’s totally useless. 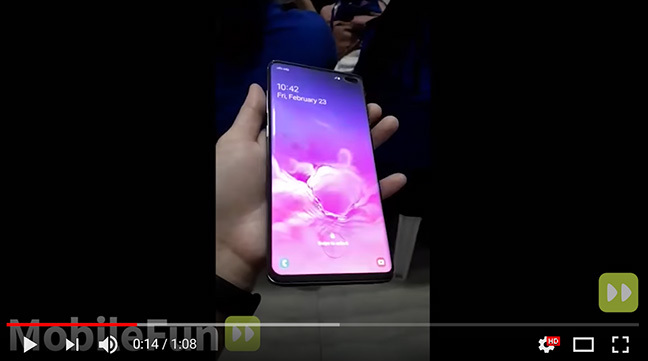 The Galaxy S10+ runs Android 9 (Pie). I still wish there was a Samsung phone that ran iOS — it’s still a better and more user-friendly operating system. Of course, we know a Samsung phone with Apple’s mobile operating system will never exist. The Galaxy S10+ appears to be a decent upgrade. But is it an absolutely necessary upgrade if you already own the Galaxy S9 or S9+? I would have to say it depends on what you use the phone for. If you like taking selfies (the lens allows wide-angle selfies) and high-quality pictures, it’s definitely worth the upgrade. However, if you mostly use your phone for text messaging, web surfing, and phone calls, you won’t find much more value. Then again, if you mostly use your phone for these three purposes, perhaps you should aim for the Galaxy S10e instead. Super Mario makes his way back to the Nintendo Switch. When I started this blog, I swore I wouldn’t get into talking gaming — it’s just too much. And gaming is just too addictive. But that didn’t last long. I’ve had the Nintendo Switch since November (I bought it two years ago, but returned it), and I can’t imagine a world without it. The Nintendo Switch really provides an escape from the world we live in today. Yeah, you can say that about any game system, but the Nintendo characters are just so “out there” and “cute.” Basically, the Nintendo Switch can be used for therapy. This is one of the best new games for the Nintendo Switch right now. 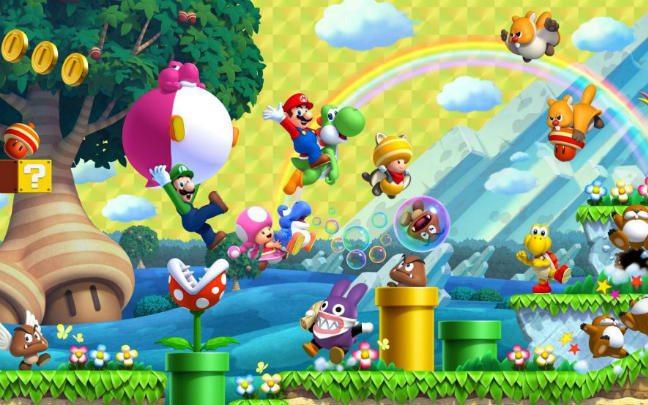 It brings back all of the Nostalgia of the original Super Mario Bros. but provided new challenged. It has multiple worlds, multiple characters, and is every bit worth the $50-$60 price tag. And like other Super Mario Games, the music is addicting. Some may think it’s hard to go back to playing a 2D Super Mario Game after the fantastic Super Mario Odyssey But that is not the case–at least once you really get into the game. While gameplay is in 2D, all of the worlds are created with 3D graphics. And the music, as usual, is absolutely addicting. I especially love hearing human singers sing “Bop Bop” while all the Super Mario characters dance. The cutest character to come out of the Nintendo series has been T. Yoshisaur Munchakoopas, otherwise known as “Yoshi.” And everything we’ve loved about him is front and center in this preview (the full game will be available on March 29). 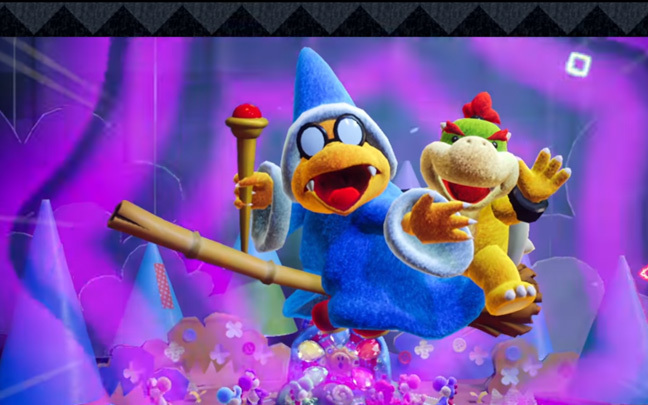 Yoshi's Crafted World is adorable. The game, at least in its preview version, is more charming entertainment than gameplay excitement. You will have to build a train or find all of the hidden Poochy (adorable!) dogs in order to move to the next level in the game. 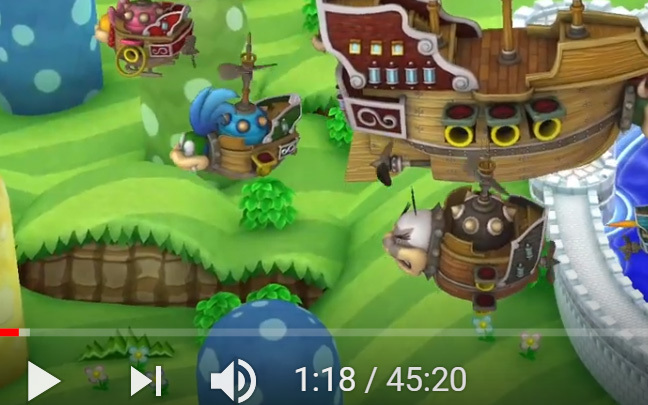 There’s addicting music, cute enemies (yes, Baby Bowser and Kamek are there), and enough fun to last for hours. It’s not challenging fun, but it’s fun nevertheless. There are rumors that the Nintendo Switch is VR compatible, and that we could see a VR headset for the device sometime this year. It would be incredible to see characters such as Mario, Yoshi, Kamek, and Bowser in the virtual reality world. But lets hope Nintendo’s VR foray into VR isn’t just a gimmick like Sony’s with the PlayStation VR headset. In early 2006, a laptop of mine was stolen from the Fry’s Electronics parking lot in Manhattan Beach, CA. Yes, I accidentally left my car unlocked (something I’ve never done again). The Police weren’t able to determine the suspect since Fry’s didn’t have any surveillance cams in their parking lot. One year later, they did. And you can bet that barely anybody gets away with stealing in their parking lot anymore. 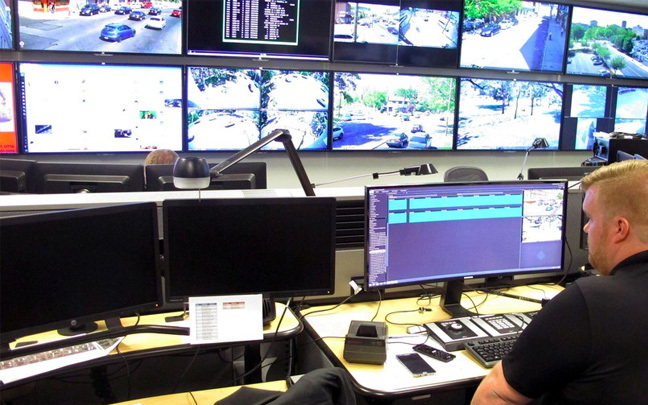 But surveillance cameras aren’t the only form of technology to help deter crime. As this article from Timothy Roafa notes, drones can help patrol areas in ways that people never had imagined. They can capture location and video information of crimes as they occur. This can help provide evidence in future court proceedings. Of course, many people think that drones is going too far by creating a police state. However, there is no doubt that the use of drones by law enforcement has not only helped save lives, but it has brought many criminals to justice as well. An article from Purdue University points out how the rise of big data has led to identification systems that can allow police officers to quickly see someone’s criminal history through a basic search. And if someone is pulled over while driving without a license, they can still be identified instantly through an in-car computer search. The rise of big data has also led to rapid identification systems, which allow police officers to quickly see the criminal history of individuals through a basic search. 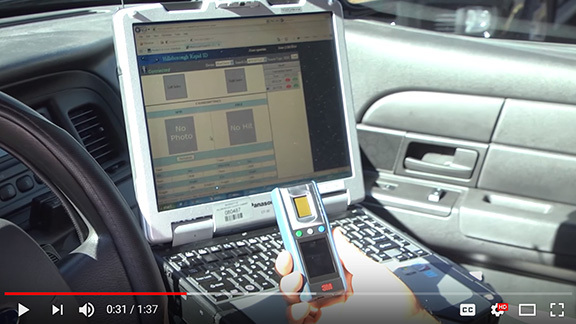 People pulled over while driving without a license can still be identified instantly through an in-car computer search. You want to threaten someone anonymously on your computer? Well, there’s no such thing as “anonymous” anymore. The police have the best IP trackers, can track where your computer was located when you made the threat (even going past software that disguises your IP), and track you down. The truth is that, for the most part, you can post what you want when you want. The police aren’t going to track you down for your opinion on Roger Stone. But once your opinions turn into legit threats, you are the one that can end up being in prison. Remember the novel 1984 by George Orwell? Many people say that novel is becoming a reality with police being able to track everything you do. The question is whether this is a good thing or not. Samsung is set to announce the Galaxy S10 on Wednesday, February 20. It’s said to be the biggest upgrade to Samsung’s flagship smartphone in years. The phone is set to be released in three different versions, including a regular S10, the S10+, and the S10e. Let’s take a look at some of the confirmed features. Samsung’s new flagship phones, which include QHD+ 19:9 aspect ratio displays, are set to be all screen and hardly any bezel. 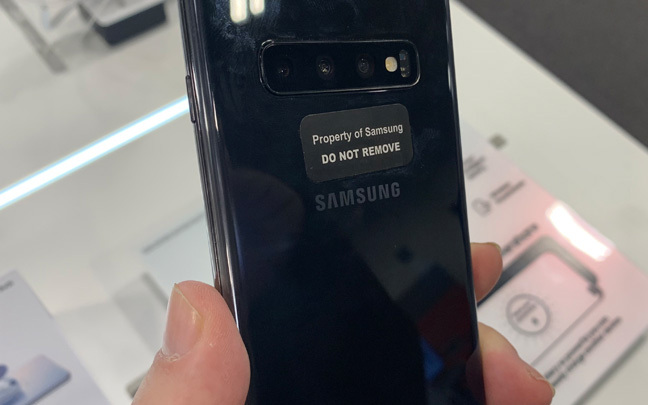 The S10 and S10e will have a single hole-punch type camera on the upper right-hand corner, and the S10 Plus will have a double hole-punch camera. It looks somewhat invasive, but we will have to wait to see it in person. Samsung will finally include and under-the-screen fingerprint reader — something it has tried to do for years. 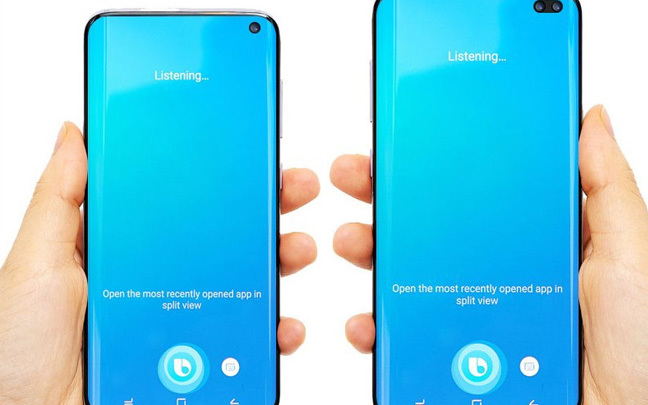 They have finally perfected the technology, and we will be glad to see it on the S10. The rear of all S10 devices will have a camera — a triple-lens camera on the S10+ and a double-lens camera on the S10 and S10e. All three will be capable of taking HDR videos. The S10+ (in particular) is said to take absolutely stunning pictures in low-lit situations. The current camera on the S9 is already fantastic, so it will be interesting to see what Samsung can actually improve. As with the Galaxy S9, there is no reason to worry about battery life on the new Galaxy S phones. The Galaxy S10 has a 3,500mAh battery, the Galaxy S10 Plus has a 4,000MAh battery, and the S10e has 3,100mAh of power. It is believed that all three S10 devices will have improved battery-saving features. Please click to play in YouTube. It is believed that the S10 and S10 Plus will use Samsung’s newly-announced Exynos 9820 processor, which comes with its own neural processing engine. That means that some AI tasks can be carried out on the chip itself. The processor is said to offer a 20 percent boost in single-core performance and a 40 percent boost in power efficiency. The Galaxy S10+ is said to have a whopping 12GB of RAM, which is more than most laptops have. The S10 and S10e will likely have 6GB of RAM, which is still more than enough. All three versions are said to have various storage options up to 1TB. Although the Galaxy S10 devices will be announced on Feb. 20, it’s likely they won’t go on sale until February 8. 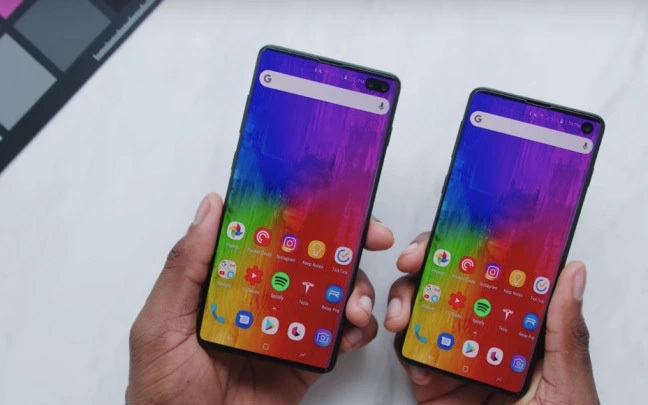 The S10e is said to start at $650, while the regular S10 could cost almost $800. And, if your wallet is really in the mood, prepare to pay at least $1050 for the S10+. These prices are high, but it looks like the phones will be worth it. 2018 finally started the era of wearable technology, especially audio devices. Bose’s SoundWear Companion was a decent hit. Smartwatches, especially the Apple Watch Series 4, continued to make inroads. Let’s take a look at the state of wearables in 2019. Bose’s audio sunglasses have just hit the market, and they received an overall enthusiastic review on this blog. I have been using these a lot lately, and I do have some wishes for an upgrade to the Frames. First, better battery life would be great. 3 1/2 hours of streaming playback is minimal, especially when it takes about two hours to completely charge the Frames. 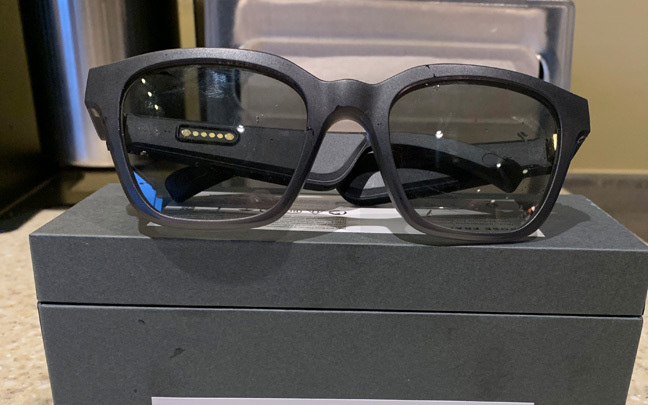 Also, prescription lens options would make these even more of a special device. Still, in general, the Bose Frames are worth the $199 price tag. 2019 should expand on an already great 2018 for the smartwatch industry. The Apple Watch 5 could see an even bigger screen, and it could be the wrist device that finally (sort of) replaces your smartphone. Future watch devices from Fitbit and Samsung will also challenge the traditional definition of a watch. Some may not consider the AirPods wearables, but they do pretty much hang from your ears without any wires. And they are something that people wear all-day long. Apple is widely expected to release the AirPods 2 during the first half of 2019. The new AirPods could be dangerous. Not only are the AirPods expected to offer the “Hello Siri” feature, but they could offer some type of noise cancellation, which is a scary thought. It’s easy to imagine drivers forgetting to turn off the noise cancellation feature once they get in the car. And that can be really problematic. This blog reviewed the original HoloLens, the augmented reality device that became available to “developers” in 2016. Although it was certainly a unique device, the joy wore off fast and there wasn’t enough software to take advantage of the HoloLens. The viewing angles were also problematic. 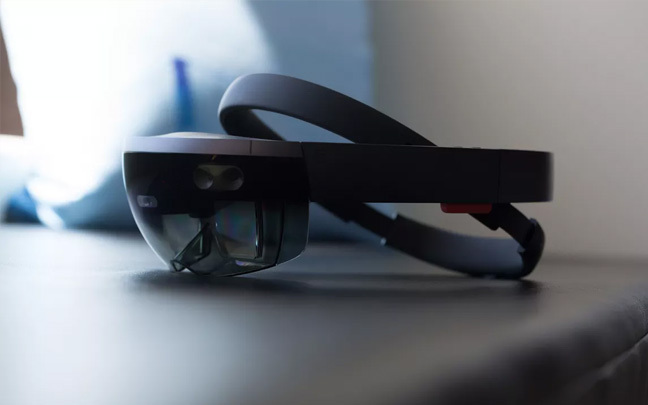 The new version of the HoloLens, code-named “Sydney,” could arrive the first quarter of 2019. It is not only rumored to be cheaper (the last HoloLens was priced at $3,000), but lighter with a much better display. Perhaps, with the lower pricing, this admirable technology can finally go mainstream in 2019. By the end of the year, you will see people wearing all different types of wearables, including some types of devices you’ve never imagined. Perhaps the best wearable device of 2019 is one that hasn’t even been announced yet. The version of the XPS 13 9380 that’s being reviewed here has an Intel Core i7-8565U processor, a 4K screen, 8GB RAM, and a 256 SSD. It costs $1699 at the Microsoft Store, but you can easily get discounts. It’s possible that I’ve written more about the Dell XPS 13 than any other laptop. When it first came out in 2015, seeing an “infinity display” (barely any bezel space) was fascinating. Of course, other companies such Lenovo have copied Dell’s path to success. To be sure, Dell’s XPS 13 (at least the first version) had a lot of issues. I remember buying one and returning it in early 2015 because the brightness levels always changed when scrolling. Also, the screen seemed to have a sandy texture, like many tablets did in 2015. The XPS 13 9350 wasn’t even a tablet — but it did offer a touchscreen. 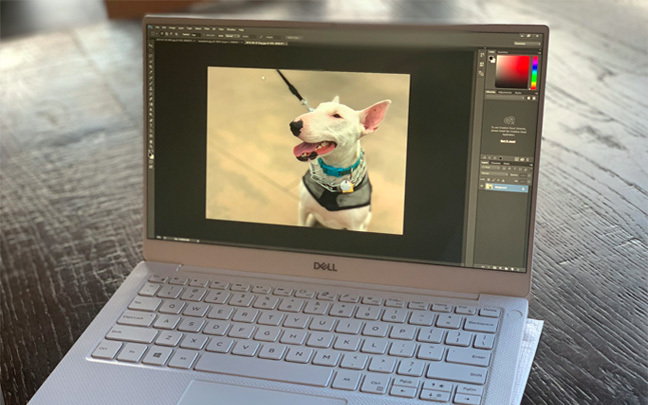 By the time the XPS 13 9360 was released, many of the problems were fixed, even though the device still had a somewhat “washed-screen” look and the webcam was still on the bottom. The 9370 version changed the screen to 4K with better contrast in late 2018, but the webcam was still problematic. Thankfully, that isn’t the case anymore. The Dell XPS 13 9380 has a beautiful 4K screen. The new XPS 13 9380 finally puts the webcam on the top center. And one really doesn’t notice (or mind) the extra bezel space it took to put it there. Imagine how many more laptops Dell would have sold if they had done this a couple years back. I guess it’s better late than never. The first thing I notice while using the XPS 13 9380, besides the webcam, is that the design feels a little plastic and dated. While HP and Huawei have made their laptops metallic all the way around, the XPS 13 looks premium while it’s closed, but appears and feels plastic-like when it’s opened. It’s not a deal breaker, and it’s important to note that the XPS 13 has a better keyboard and touchpad than any other PC device out there. 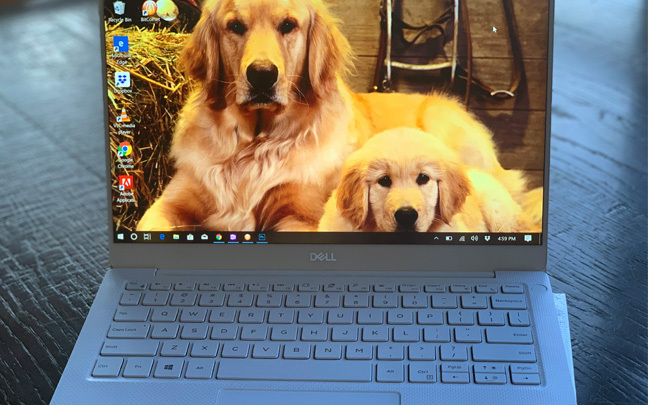 Then, there’s the fact that while many laptop makers are changing the aspect ratio of their screens to be more square (like all of Microsoft’s 3:2 laptops or at least the MacBook Pro’s 16:10 ratio), Dell still provides a somewhat outdated 16:9 screen. Don’t get me wrong; that screen is beautiful. And the XPS 13 is second to none when it comes to watching movies that don’t need to be resized to fill the screen. But for an overall computing experience, the 16:9 screen finally feels outdated in 2019. The Dell XPS 13 9380 has an improved processor. It’s not all gloom and doom….far from it. Besides the re-positioned webcam, the biggest improvement is the upgraded Intel Core i7 Whiskey Lake U Core i7-8565U processor. You won’t notice much of a difference when using most programs or surfing the internet. But I noticed my videos rendered at least 25 percent faster when using Adobe Premiere Pro, which worked decently for editing 4K videos. I only wished this high-end unit included 16GB of RAM instead of 8GB. One wouldn’t expect great battery life from a device that is not only powerful, but has a 4K screen. Dell claims 12 hours, but I received about seven when streaming Netflix videos with the brightness set on 70 percent (which is more than enough for this unit). While it doesn’t match the battery life if the Surface Pro 6 or MacBook Pro, it comes very close. It’s the best battery life available for a current 4K laptop. In conclusion, I am enthused but not elated about Dell’s latest 13-inch laptop. When the 9370 came out last year, I couldn’t stop touching it. It shows how one year in the laptop world can make things feel outdated. Still, I would definitely recommend the Dell XPS 13 9370 for those looking for a powerful and portable laptop. 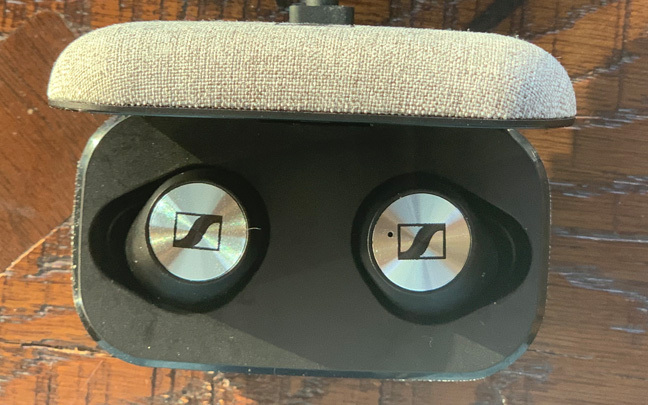 I have been using the Sennheiser Momentum True Wireless Earbuds ($299.95) for the past week. I gave my first impressions review last week, and was really enthusiastic. My full review is still positive, but I realize that the Momentum True Wireless may not be for everyone, especially because of the price tag. First of all, the best thing about the Momentum True Wireless is the sound. I’m shocked that the buds produce sound that is just as good as Sennheiser’s larger over-the-ear headphones. The Sennheiser signature sound is great for people who love bass that kicks you in the ear without completely dominating the sound spectrum. The highs are prominent, and the mids are somewhat recessed. It makes a great listening experience, especially when listening to EDM or hip hop. The Momentum True Wireless Buds have a tight fit. The True Wireless buds, however, aren’t as comfortable as some other buds, especially the AirPods. You definitely don’t want to fall asleep with these things on, but they are fine for driving, walking, and even working out. 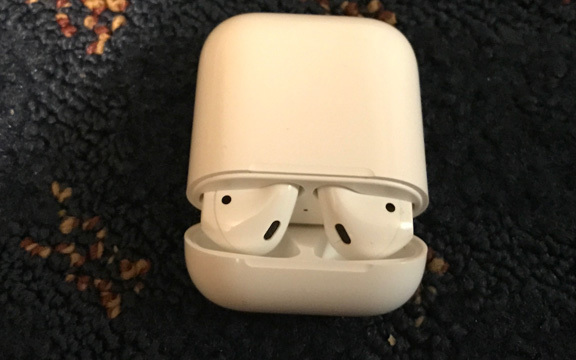 In fact, the fit is so tight that unlike the AirPods, these never fell out of my ears doing various types of exercises. Then there is the battery life, which is decent but not great for earbuds. Sennheiser claims four hours of battery life per charge, but I usually got about 3 hours and 50 minutes. These won’t give you five hours of use on one charge like the AirPods or the Jabra Elite 65. Luckily, the well-designed case provided with the Momentum buds charge them pretty fast. 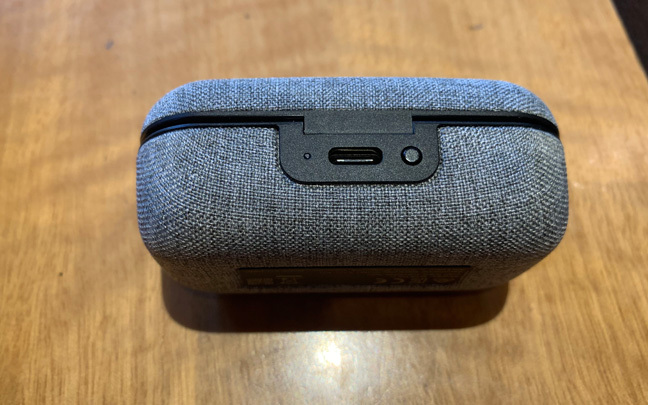 The eloquent charging case has a USB-C charging port. One thing that the Momentum True Wireless does better than just about any other set of buds is phone calls. Even when driving with the sound of traffic, my listeners said they could hear me clearly. Only when walking outside in extremely windy situations was there trouble understanding me. When it comes to voice calls, the only buds that do a better job (and only slightly so) are the AirPods. I initially disliked the touch controls on the Momentum True Wireless, but am more happy after using the buds for a week. There are all different types of taps, and it doesn’t work unless you tap one of the buds correctly. However, no matter how frustrating it is at first, your fingers eventually learn how to do the job. You can use these easily without the Smart Control app, but you won’t have access to the app’s equalizer, which you should use as your main equalizer no matter what music apps you use. You don’t have to worry about the Bluetooth connection falling out. I’ve used these earbuds all throughout Orange County and Los Angeles — in busy and barren areas. The only time I lost my connection was when the battery ran out. That’s quite an accomplishment for earbuds. The biggest question isn’t whether or not the Momentum True Wireless buds are good or not, but whether if they are worth $299. 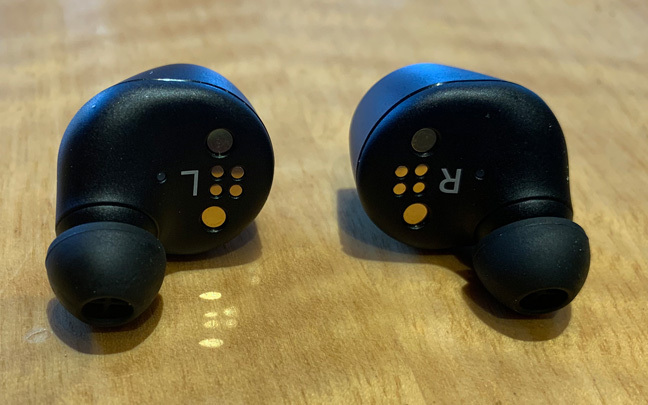 They are $140 more than the AirPods, but aren’t significantly better. If the Sennheiser True Wireless earbuds were $50 cheaper, I’d say go out and buy these right now. However, as they are priced now, I can still recommend them, but not if you’re living paycheck to paycheck and don’t mind some of the minor flaws. There are cheaper alternatives out there that are almost as good. Lenovo was one of the first companies to make an OLED laptop. Laptops with OLED screens have been rare. 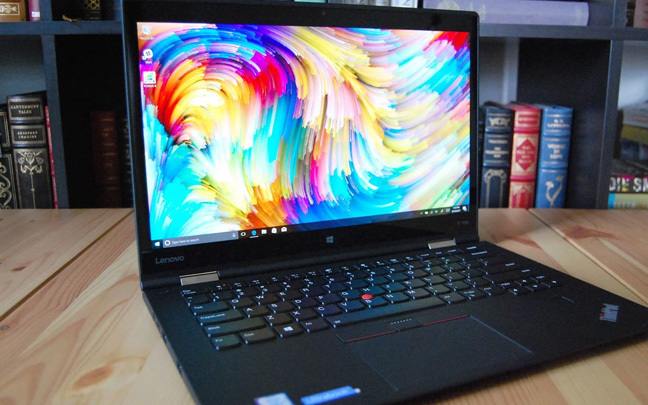 There has been the Lenovo Thinkpad X1 Yoga, the Samsung Galaxy Book 12, and Dell’s Alienware 13 R3. Many laptop makers have avoided OLED screens because of the cost of producing them. But not anymore, as 2019 is going to be the year of the OLED laptop. In 2018, OLED television sets went mainstream, so it’s about time the same thing happened to laptops. Let’s take a look at some OLED laptops making their way to consumers this year. Dell's new OLED XPS 15 will be available in March. 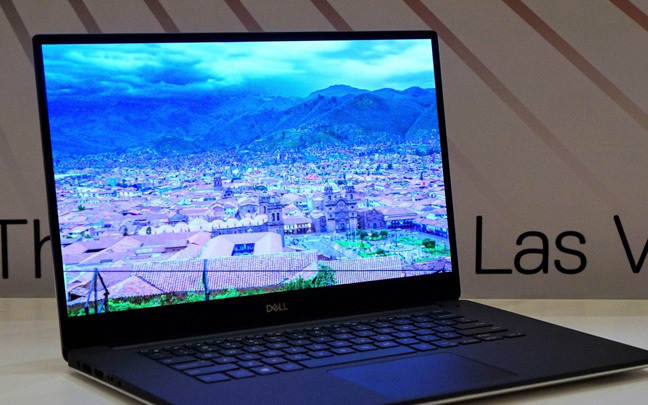 Dell’s XPS 15 has always been considered the larger version of the virtually bezel-free XPS 13. It’s been the PC equivalent of the 15-inch MacBook Pro. Now, this March, the XPS 15 is expected to be updated with an OLED display. The LCD screen on the current XPS 15 is already near perfect. A 15.6-inch OLED screen with a webcam on the top (rather than the bottom center) will make the new XPS 15 very hard to beat. HP has made quite a name for itself with their Spectre (both 13 and 15-inch versions) over the past few years. One complaint has always been the screen, which looks too washed out. 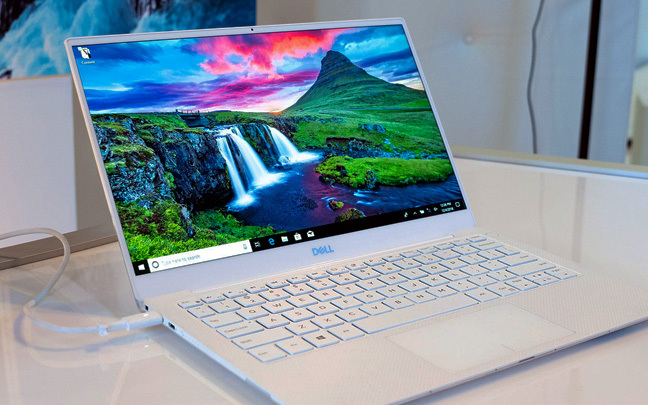 Their newly updated Spectre x360 15, with an OLED screen, looks like it could make its way to consumers around the same time Dell’s updated XPS 15 does. Given prices of current units, it looks like HP’s laptop will be at least $200 cheaper than Dell’s. Razer has made some of the best gaming laptops the world has ever seen. Now, their 15-inch laptop looks like it will get an OLED screen by the end of the year. Razer is also adding more RAM, more graphics options, and more color options as well to its 15-inch powerhouse. Samsung has just announced that they are creating 4K 15.6-inch OLED screens for laptops that will be massively produced starting in February. These new screens can get as bright as 600 nits while displaying an amazing contrast ratio of 120,000:1. The displays will be able to accurately reproduce 100 percent of the DCI-P3 color gamut. OLED screens cost more to produce than LCD screens, and that’s one of the reasons they haven’t been seen on laptops much. But hopefully, as they become more mainstream, the costs will go down. Still, once you see an OLED screen on a 15-inch laptop, you’ll probably agree that the extra $200 is worth it.